Ok you guys, i have a serious confession: i haven't actually had a real winter coat -- think parka -- since, like, well... EVER (as an adult). And i'm from Canada. I know, a travesty, right? How could i survive those frigid Canadian winters from years past with nary a feathered garment? I've managed to make layering an art form and got by with a simple (uninsulated) wool military coat. And quite frankly, i can attribute this to never finding a style i enjoyed, even less so wrap my head around "investing" in a run-of-the-mill-see-you-on-every-street-corner Canada Goose. Great if you do, but that's just not how i roll. I decided that this past winter was the last year i could deal with being frozen. I thought my search would be much more tedious and unfruitful than this, but turns out i found the perfect jacket just this past week: neutral color, not flashy, classic, could be both sporty and city, will look great equally with galoshes and high heels, and more importantly, it's WARM. 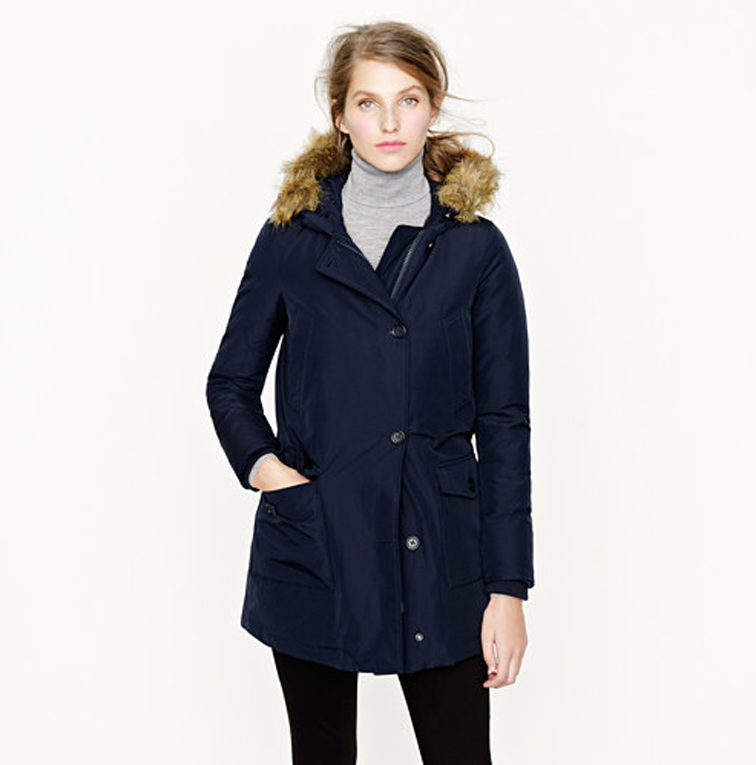 Found it at J.Crew and it's by Woolrich. If, like me, you are in the same predicament, i urge you to consider this parka. i'm exactly the same, i have never owned a suitable winter jacket! definitely considering investing in one!